The author gives us a nostalgic account of life as it used to be in far-off, happier days in Ceylon. 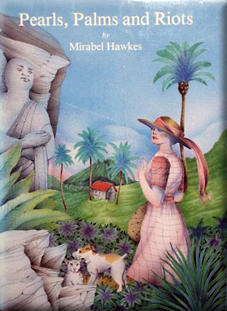 Mirabel Hawkes was born there and returned in 1918 with her tea-planter father. There she was to experience and enjoy with carefree high spirits the endless round of dances, tennis parties, hockey and rugby matches with which the young people regaled themselves. Glancing briefly at the troubled times today, Mrs. Hawkes finds the memories of her youth immeasurably enhanced. After her marriage at 22, the good life continued merrily until disturbed by the approaching outbreak of war. She and her husband returned to England, he to join the Irish Guards and she the WAAF. Tragedy struck when her husband was killed in Normandy. After the end of World War II she and her second husband went back to the island, so well-remembered, but life there could never be the same. The move towards independence was afoot and trouble brewed between the Tamils and the Sinhalese, worsening the economy. The writing was on the wall; British friends were getting out and she and her husband followed suit, bidding a sad and final farewell to the scenes of her youth. There will no doubt be many who will share her regret on the passing of the halcyon days before the once rich Ceylon became the poor and strife-torn Sri Lanka.